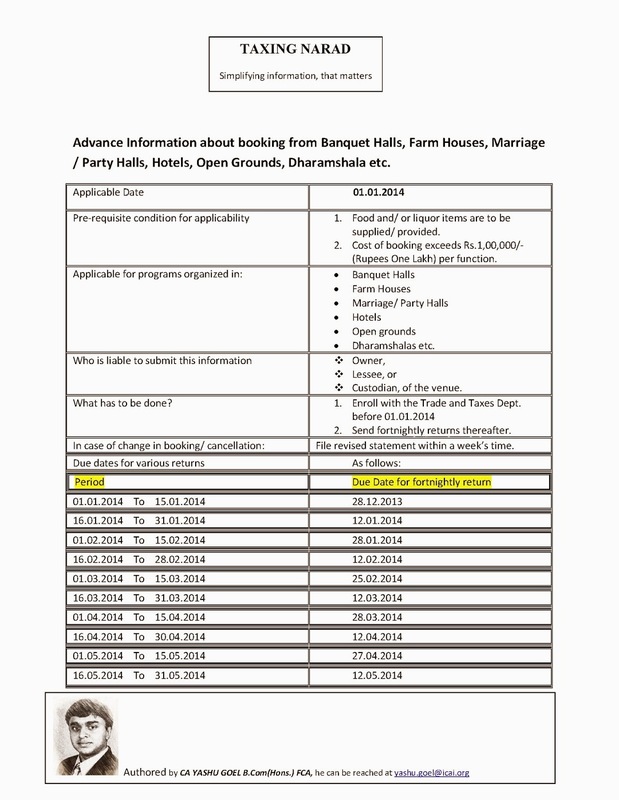 The department of trade & taxes, Delhi has extended the date of implementation regarding furnishing of advance information in respect of functions organised in Banquet Halls, Farm Houses, Marriage/ Party Halls, Hotels and Open Grounds etc. as 2nd fortnight of January, 2014 instead of 1st fortnight of January, 2014. 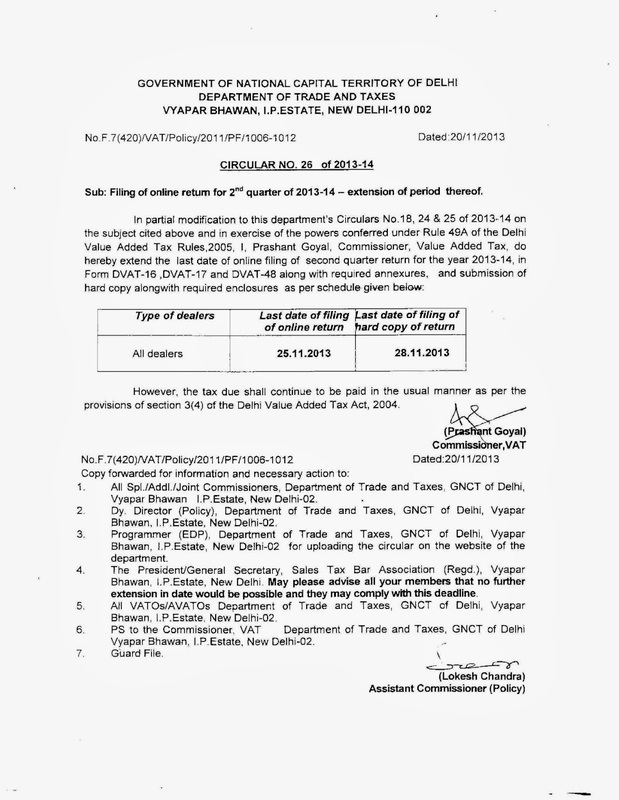 The department of trade and Taxes, Delhi has extended the last date for filing of AR-1 from 31-12-2013 to 10-01-2014. 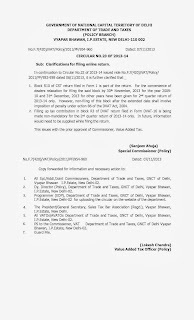 The CBDT vide its Order dated 13.12.2013 under section 119(2)(a) of the Income-tax Act, 1961 has extended the last date of payment of the December Quarter Instalment of Advance Tax for the financial year 2013-14 from 15th December 2013 to 17th December 2013 for all the assessees, Corporate and other than Corporates. 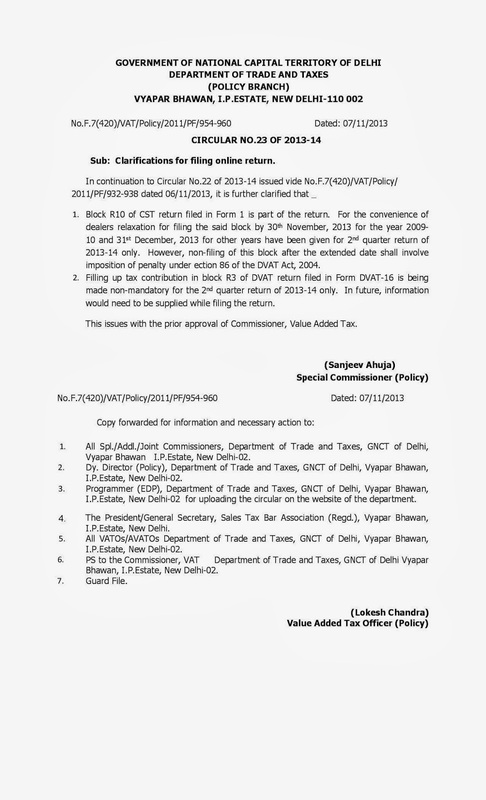 The department of Trade & Taxes, Government of NCT Delhi has extended the Last Date for Filing of return for 2nd Quarter of 2013-14, including block R.10 of CST Return in Form1 for 2009-10, 2010-11, 2011-12 and 2012-13, upto 31st December, 2013. 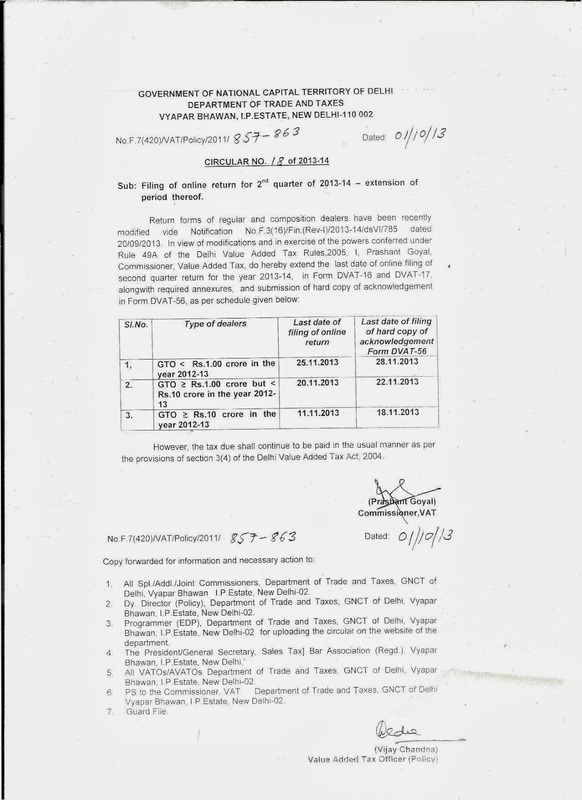 The print/ hard copy of the acknowledgement in Form DVAT 56 should be submitted upto 3rd January, 2014. The dealer who have filed the 2nd Quarter return of 2013-14 in the old format shall also file the return in the amended format for 2nd Quarter return by the aforesaid dates. 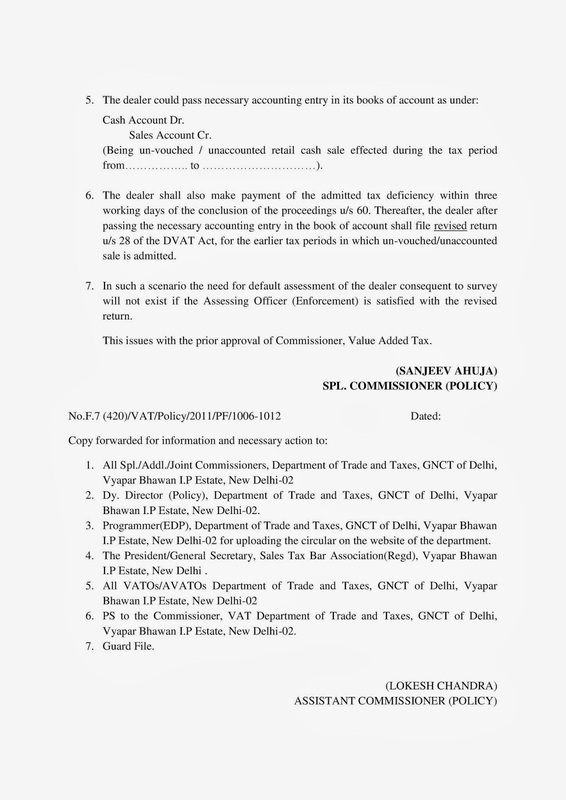 Procedure for Voluntary Disclosure of Tax Deficiency u/s 87(6) of the DVAT Act 2004. – During the course of proceeding u/s 60 ie. Survey etc. · Conclusion of the proceeding u/s 60. 1. Admit the amount of cash variation, Stock variation and other discrepancies during the course of proceedings u/s 60. · prior to the tax period during which proceeding u/s 60 is being carried out. 3. Make payment of the admitted tax within 3 working days of the conclusion of proceeding u/s 60. · Cash a/c Dr. …………. 5. 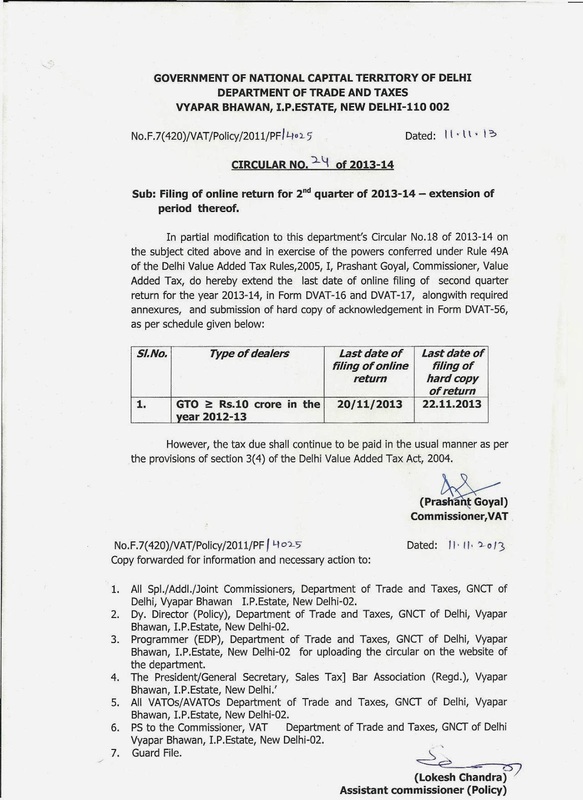 File Revised returns U/s 28 for earlier tax periods in which un-vouched/ unaccounted sale is admitted. · there shall be no need for DEFAULT ASSESSMENT of the dealer consequent to survey. 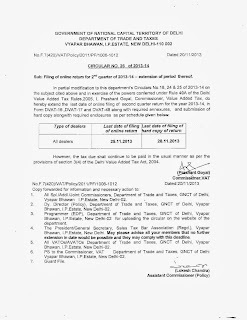 The department of trade and taxes, government of NCT of Delhi has extended the last date for filing of R10 block for 2009-10 in Form 1 for 2nd Quarter of 2013-14 to 15.12.2013. The hard copy of the same is to be submitted upto 16th December 2013. However, the tax due shall continue to be paid in the usual manner as per the provisions of section 3(4) of the Delhi Value Added Tax Act, 2004. 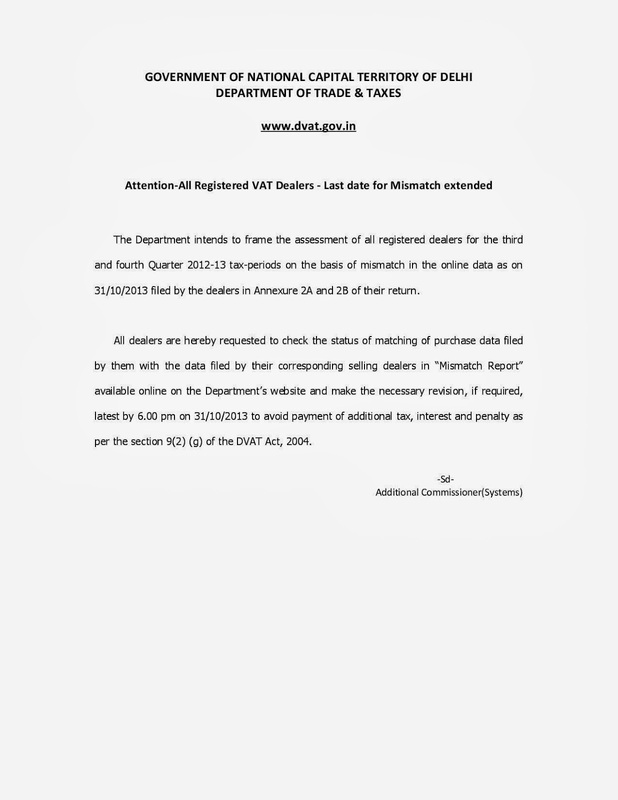 The DVAT department has issued clarification in respect of returns being filed for 2nd qtr. 1.Block R10 of CST return filed in Form 1 is part of the return. For the convenience of dealers relaxation for filing the said block by 30th November, 2013 for the year 2009-10 and 31st December, 2013 for other years have been given for 2nd quarter return of 2013-14 only. However, non-filing of this block after the extended date shall involve imposition of penalty under section 86 of the DVAT Act, 2004. 2. 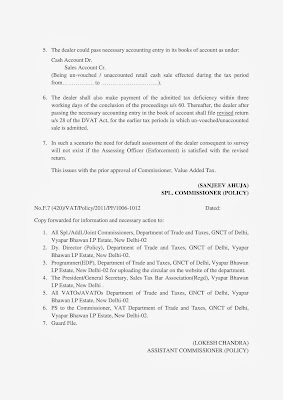 Filling up tax contribution in block R3 of DVAT return filed in Form DVAT-16 is being made non-mandatory for the 2nd quarter return of 2013-14 only. In future, information would need to be supplied while filing the return. The assessee’s appeal was fixed for hearing before the Tribunal on 4.12.2007. As nobody appeared for the assessee, the Tribunal dismissed the appeal for want of prosecution. 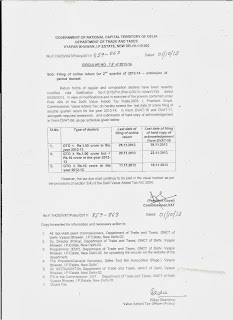 The assessee filed a Miscellaneous Application before the Tribunal on 6.8.2012 seeking to recall the exparte order. The Tribunal dismissed the MA on the ground that the application for recall had been filed beyond a period of 4 years from the date of the ex-parte order. The assessee filed a Writ Petition contending that (a) the Tribunal had no power under Rule 24 to dismiss an appeal for want of prosecution, (ii) an application for recall of an ex-parte order does not fall u/s 254(2) and the time limit of 4 years does not apply to it. It was also contended that the Tribunal ought to allow the system of “mentioning” matters as is done in the High Court. HELD by the High Court dismissing the Petition. 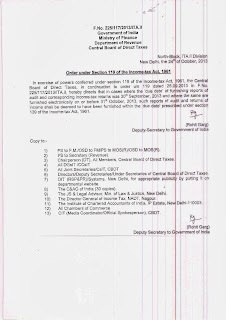 The CBDT vide its order u/s 119 of Income Tax Act 2013 dated 24th October 2013 extends the due of furnishing report of audit and corresponding income tax returns from 30th September 2013 to 31st October 2013 where the same are furnished electronically. 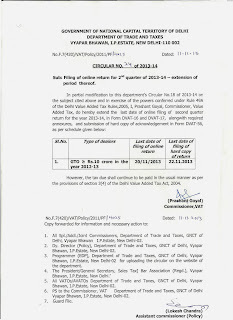 The Value Added Tax Department has vide Circular No. 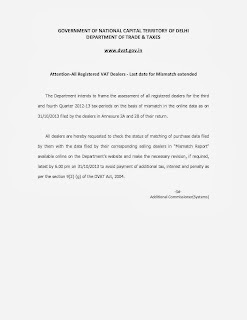 18 dated 01.10.2013 extended the last date for filing online Return for the second quarter of 2013-14 in form DVAT-16 and DVAT-17 along with required annexures , and submission of hard copy of acknowledgement in Form DVAT-56 as per the schedule . members may visit the www.incometaxindiaefiling.gov.in for other FAQ’s. 1. What is the complete procedure to upload tax audit reports by Tax Professionals? § Set primary secret question and answer thereof. contact number of the user notifying that a confirmation mail was sent to his/her registered e-mail id. d) Select the Form no. for which CA is supposed to be added. After successful uploading of tax audit report, the said form will go to assessee for approval. c) Assessee can verify the form and approve/reject the form (other than ITR). e) If assessee is rejecting the form, reason for such rejection has to be provided. along with the acknowledgement number. same are required to be uploaded. between physical report and PDF file uploaded. 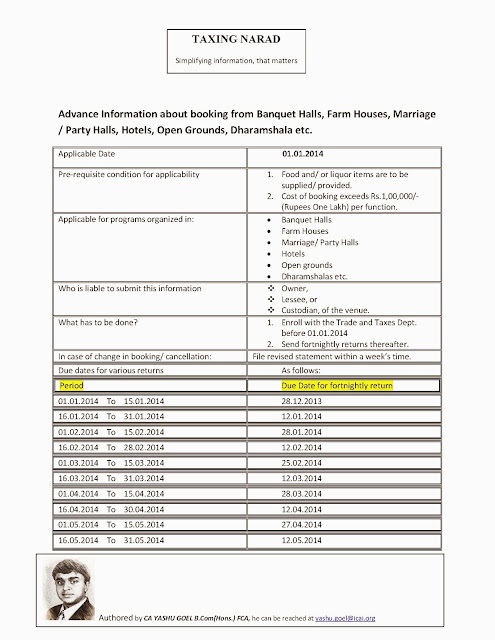 registration in the e-filing portal? 44AB. Therefore, e-filing is applicable to such audits also. 6. Where the Firm Registration No. (FRN) should be mentioned in the e-forms? members need not mention their FRN. No.3CD is to be mentioned in the e-form? ‘Upload other report’ of the portal. the joint auditors should sign the hard copies. disagreement. Such separate reports are also to be uploaded on the portal. 9. What is the procedure to furnish revised audit report electronically? (i) revision of accounts of a company after its adoption in annual general meeting. (ii) change of law e.g., retrospective amendment. (iii) change in interpretation, e.g. 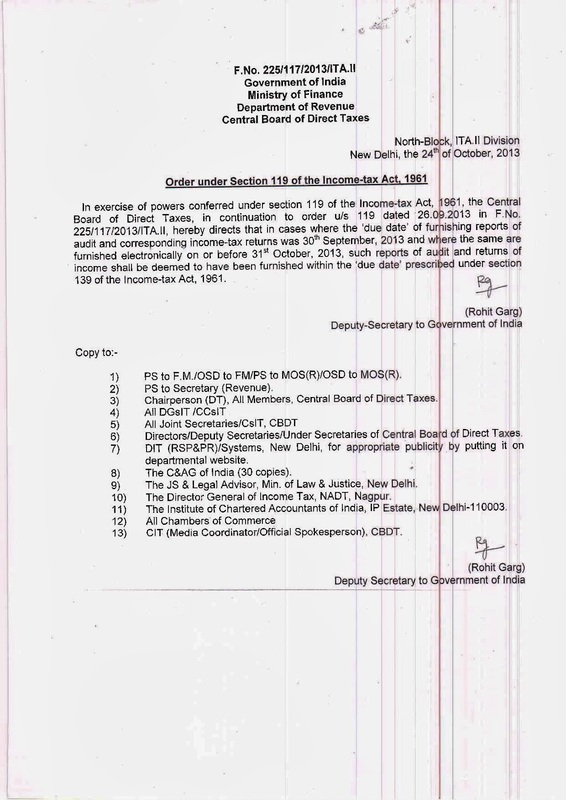 CBDT’s circular, judgments, etc. Chartered Accountant on e-filing portal? 44AD and 44AE shall not be included in this limit. restriction. However, members are required to comply with the prescribed ceiling limits. reports can each partner sign in a financial year? under Section 44AB of the Income Tax Act, 1961 is 45.
audit assignments per partner of the firm, in a financial year. not signing any tax audit report. 12. What is recommended system requirements for facilitating e-filing? 13. If tax audit report is issued and the ITR is filed prior to issuance of the Notification No. 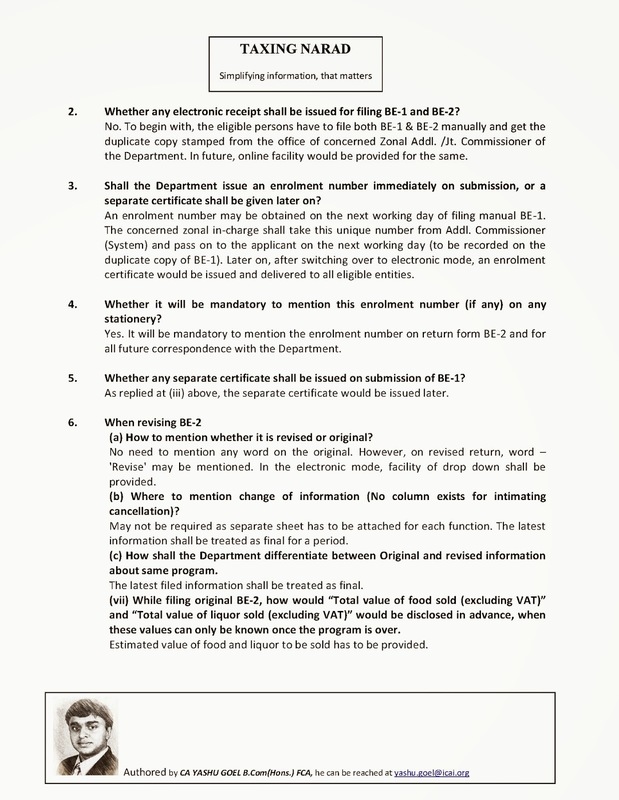 e-filing of audit reports is required? 14. 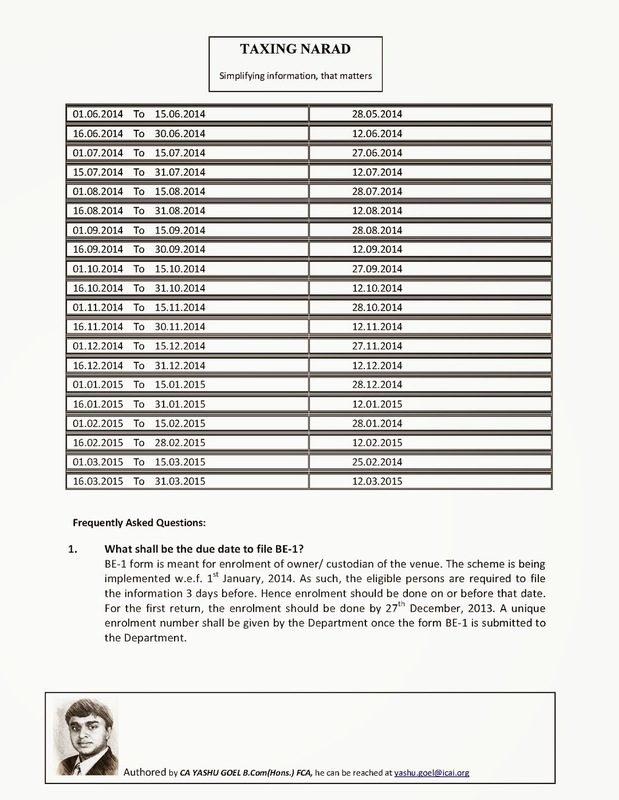 In case of e-filing of audit reports what is the date of audit report? Date on which the report is physically signed by the Auditor shall be the date of audit report. 15. Is it possible to e-file the ITR first and then e-file the audit report? upload tax audit report and then file IT return. to second page. What should be done in such a case? The trust should first fill the status and then PAN.